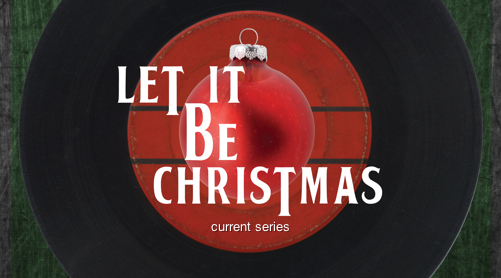 Today was week 2 of the Let It Be Christmas series at GracePoint. 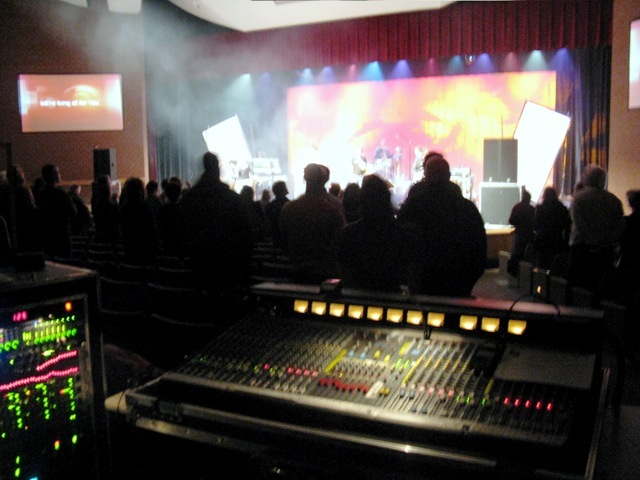 I was on the sound board again today – which isn’t the best place to actually enjoy the service. You’re constantly analyzing how things sound, or trying to fix something. Help rocked! We’re discovering that Andy’s voice is well suited to The Beatles. Break Free is one we started using earlier this year. I love the funky bridge. A great uptempo song from down under. Andy was on lead vocal duties again. Eleanor Rigby was the traditional Beatles arrangement. We had a guest cellist, Arleigh Aldrich, from the Wichita Symphony. Amy covered the violins, etc… on the keyboard. Andy was on lead vocals again. The song was simply incredible. It tied in really well with Bryson’s message. We need Arleigh back again sometime. Jesus Paid It All is stealthy. It’s not typical Edge of Grace fare, but it works awesome for us. I love the dynamics of the song. It’s another one that works well for both male and female vocals. In the second service, we changed things up a bit during the offering and Amy led an incredible time of worship after the message. The song ended (second service only) with Amy ad libbing while Andy sang the chorus over and over. God was definitely moving this morning! I also want to give a special shout out to Carlos for surviving his first week on bass. Carlos plays in a local rock band that I remember the name of right now. He did a great job! That’s about all I’ve got without going into the myriad of technical glitches this morning. Saturday, I was listening to the Pillar album, Where Do We Go From Here, while driving back from Altus, OK. It had been a while, and I had forgotten how good it was. One song, in particular, really jumped out at me – Simply. God simply loves. Nothing more. Nothing less. The story of the prodigal son is probably the best illustration of this. No matter how bad we screw up, God runs to us with open arms when we return to Him. What if we loved like that? What if we simply loved? No strings attached. No conditions. No judgment. No hatred. No history. No memory of how others have wronged us. No condemnation. No expectations. No selfishness. No pride. You are currently browsing the archives for the My Faith Journey category.